Maximum Yield: 50hl/ha for sec (<8 g/l residual sugar), 40hl/ha for demi-sec, moëlleux and doux. Map of the region: click here for a higher resoultion pdf version. This map is © Richard Kelley and may not be reused without permission. Savennières presents us with something of a paradox. In the greater scheme of things it is a tiny region, representing just one-fifth of one percent of the 70,000 hectares of vines that are planted along the Loire, yet it is one of France’s most revered, renowned and recognised appellations. But this is not to say that Savennières has not endured some troubled times in the fifty-odd years since the appellation came into being, or suffered a crisis of identity when deciding what style of wines best suit its site. 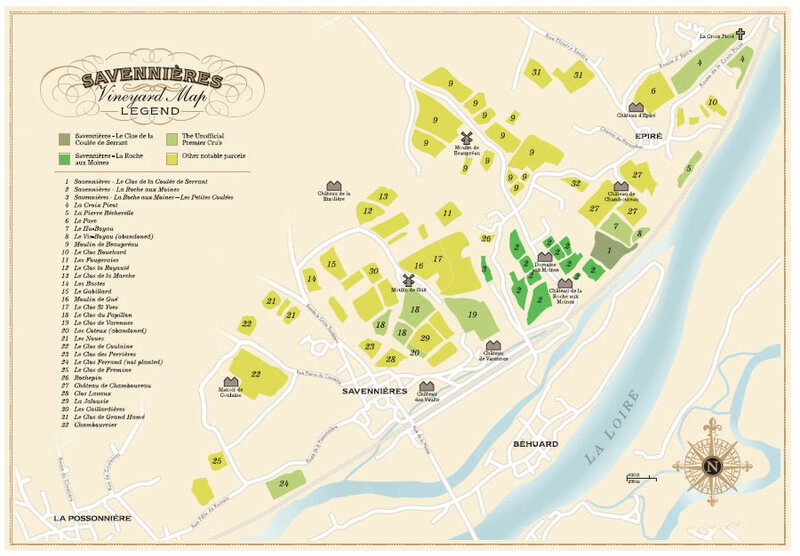 However, the past fifteen years have seen considerable expansion with plantings tripling from 46 hectares (ha) in the late 1970s to become the Loire ’s most dynamic appellation. No other wine producing region within France has seen such an influx of external growers arriving and staking a claim. Out of the 34 growers currently active in Savennières, only nine have their cellars within the boundary of the appellation, leaving some forty percent of the crop to be vinified outside the region. With the arrival of these outsiders have come varying philosophies on how the wines should be made, how they should taste and from what age they can be consumed. These stylistic preferences revolve primarily around cellar practices, given there is only a single variety, Chenin, with which the growers can work. The use of small and sometimes new oak is, for example, a phenomenon that would have been alien here until the mid 1990s. Savennières has always been considered a cerebral wine - never facile - demanding contemplation, a wine characterised by its unforgiving youthful austerity and razor sharp acidity, but then true Chenin is defined by the tension and nervosity derived from the levels of malic acid found within. So the wines here are evolving, even among the established producers, who are adapting their own winemaking techniques as they seek to tame Chenin’s naturally high acidity and pithy-bitterness which is so inherent on these hard, schistous soils. Factors such as the influence of botrytis at harvest, the introduction of malolactic fermentation and the raising of wines in wood ensure that there is no longer one definitive expression of Savennières. Thankfully, and unlike so many other regions in France , Savennières is at least fortunate in that there is no poor wine being made in the appellation, with each of the 30-odd growers at least being competent vignerons. Whilst more ‘traditional’ examples can still be found, there is a greater diversity of styles being produced within the appellation, although this does raise the question as to what is the defining expression of Savennières at the start of the 21st Century? How true are these wines to their origin in displaying an authentic sense of place, and how representative are they of any specific vintage? The answer currently is probably not enough. This section of the Loire was inhabited well before prehistory. The Celts were followed by the Romans who remained present for the 400 years of their rule of Gaul . 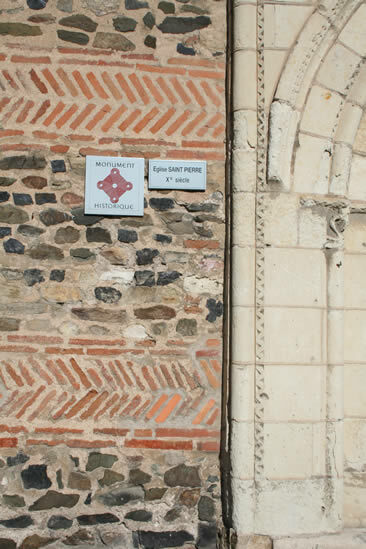 It was the Romans who were the first to bestow Savennières with a name: Vicus Saponaria, meaning ‘place of soap’ after the soapwort, a perennial pink flower which once bloomed along the banks of this part of the Loire. Vineyards in the region date back to around 276AD when the Roman Emperor Probus offered the Gauls the right to plant vines. The establishment of the great abbeys in Anjou at the time of St Martin in the early 11th century would have only encouraged the propagation of the vine. In 1063 Geoffrey Martel, Count of Anjou, founded the Chapel of Ste Geneviève at the Château of Angers and also held land in Bouchemaine. 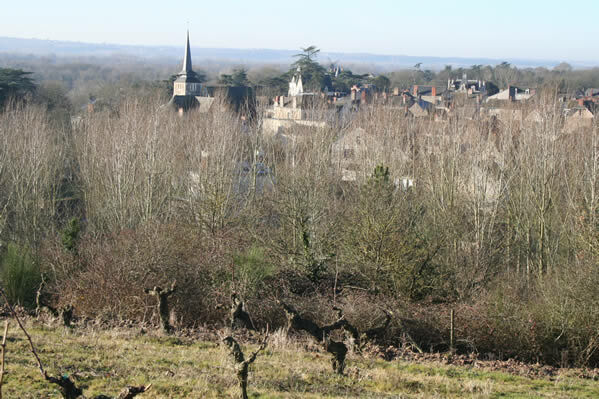 Further west, Benedictine monks founded a priory in the hamlet of La Possonnière in 1140, establishing a large vineyard within its grounds, and a decade before, monks from the abbey of St Nicolas d’Angers had already begun to plant vines in La Roche aux Moines. In an edict of 1191, King John of England , known locally as Jean-Sans-Terre, cited the wines of Anjou as the ones most suitable for the royal court, as well as procuring them for his own use. Later, the abbeys sold off land to the gentry in exchange for hard cash, so establishing Savennières’ reputation as a bourgeois stronghold, with each of the maisons and manoirs of Chamboureau, Coulaine, Laveau, La Rousselière, La Possonnière, Serrant and Vaults being recorded by the end of the 16th Century. Deux bons flacons de Savennières. One of the most influential and vocal characters within the appellation in the 1800s was Pierre Constant Guillory (1796 – 1878). A Swiss native, Guillory owned a house and vines within La Roche aux Moines and became founder and president of La Société Agricole et Industrielle de l’Anjou. In one of his numerous bulletins to the Society he details the planting of experimental varieties, including Pinot Noir, Pinot Gris, Muscat, Groslot, Merlot, Carmenet (an old bordelaise synonym for Cabernet Franc), Gamay, Liverdun and Mâlain within his vineyard. In his papers he recommends the planting of Cabernet Sauvignon and Cabernet Franc in preference to Chenin on the basis that they ripened 15 to 20 days earlier. He initiated the creation of a viticultural school and between 1857 and 1861 distributed 60,000 Cabernet vines through the region. In 1847 Guillory was the first in the appellation to experiment with sulphur to combat oïdium (powdery mildew). Downy mildew arrived here in 1880, the same year as phylloxera. Various sulphur-based treatments were used in an attempt to arrest the spread of phylloxera until in 1889 the viticultural station in Saumur elected Savennières to be the first in the region to test Chenin’s suitability to grafting onto Vitis labrusca. A year later, Pierre Viala of the Institut National d’Agronomie returned from a tour of the United States and instigated a study in 50 different communes within Anjou for the planting of land to American rootstock. In Savennières these trials were conducted in 30 various trachées, with half of the experimental plantings being on land owned by Château des Vaults. All these trials proved successful, with Vitis ruspestris becoming the rootstock of choice to help re-establish the vineyards of the appellation. In 1890 a nursery solely for the propagation of American rootstocks was created on land rented from Baron Brincard, resulting in Gordon Pirie, the owner of Château des Varennes, replanting his whole vineyard with Chenin grafted onto Rupestris in 1893. Post phylloxera, vineyards were not replanted to the same extent and although some parcels were planted to hybrids, particularly Noah or Othello, it helped to consolidate Chenin’s position as the dominant white variety within the region. By 1925 a total of 408 ha had been re-established; 190 ha in Savennières itself, 64 ha in Epiré, 138 ha in La Possonnière and 16 ha on the island of Béhuard , although only nineteen proprietors owned more than 5 hectares of vines. Although Savennières had been recognised for the quality of its wines well before the conception of the Appellation Contrôlée system in 1936, it was not until 1952 that the region was granted its own AC. After the Second World War ended, there were more important, and not necessarily viticultural, issues affecting the region for this to be perceived as a priority. It was not until seven years after the conflict ended that there was sufficient motivation to start setting down the principles for the appellation. It was two men, Bernard Closel, owner of Château des Vaults and Mayor of Savennières, and Jacques Roussier (whose descendents still own the Château du Coulaine) who were the driving force behind the legislation. Appellation Savennières Contrôlée came into being on the 8th December 1952. In addition to the law for Savennières itself, the authorities recognised the provenance of the two most historical sites, bestowing them with their own sub-appellations; Savennières – Le Clos de la Coulée de Serrant and Savennières – La Roche aux Moines. Arguably, these could be considered as the ‘Grand Crus’ of the appellation although no such formal classification exists. Informal debate continues between the growers as to whether this would be a good thing; a recognisable system of quality, but views tend to be polarised; in addition the introduction of such a system goes somewhat against the egalitarian principles of the Angevine temperament. Confusingly though, some growers, such as Soulez and Bizard in Epiré, have traditionally used the term ‘Grand Cru d’Anjou’ on their labels, although this has no legal definition. It is important to note that historically, and at the time the legislation for the appellation was being established, Savennières was recognised as a region for sweet, or at the very least demi-sec or sec-tendre wines, with the limits imposed for potential alcohol and yield set to reflect this: 25 hectolitres per hectare (hl/ha) with a minimum alcohol (allowing for chaptalization) of 12.5%. These limits echo those of similar appellations such as Bonnezeaux and Quarts de Chaume across the river. 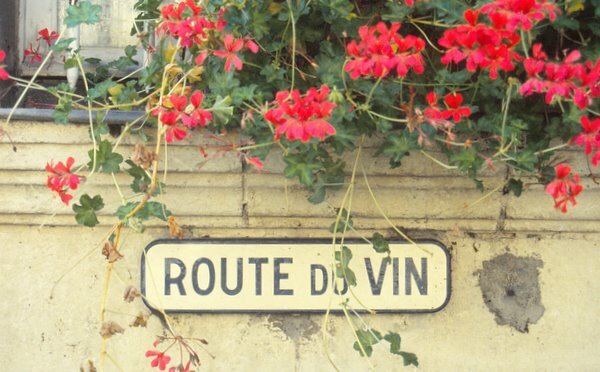 Despite Savennières being one of the smallest but most recognised names in French wine culture, the appellation suffered from something of an identity crisis in the 1960s as the fashion for drinking sweet or off-dry wines diminished. By the end of the decade most of the ten full-time producers had changed their vinification methods to accommodate the demand for drier styles, albeit at production levels that were only really financially viable for moëlleux and demi-sec. It is generally acknowledged that it was the Château de la Roche aux Moines who was first to adapt its winemaking techniques to encompass the increasing fashion for dry wines, with each of the 1961, 1966 and 1969 vintages all appearing to be vinified as sec. Given that most sales of Savennières well into the 1970s were en vrac, meant that growers would vinify specific barrels to suit the needs of particular customers, selling off wine to either loyal private clients to bottle at home, or to the Brasseries of Paris, Angers and Tours whose owners or representatives would visit once a year exchanging one or two empty barrels for those containing the new vintage. Nicolas, the eponymous French wine merchant, was certainly very active in buying by the cask here during the 1930s and 1940s. This practice of selling in bulk helps to explain why it is so difficult to find antique bottles in the bourgeois cellars of Savennières as most of the wine would have been disposed of within six months of the vintage. At Château d’Epiré some wine at least was committed to bottle each vintage, with museum stocks at the chateau dating back to 1900, whilst a label library has examples from to the 19th Century. The oldest label in existence simply reads ‘Château d’Epiré 1875 ( Anjou )’ with no mention of Savennières. Another shows ‘Grand Vin d’Anjou, Château d’Epiré, 1921, Savenniéres ( Maine et Loire )’. Interestingly, the 1947 vintage label indicates that the wine is both from Savennières and is an ‘Appellation Contrôlée’, although this is a full five years before the AC was ratified. The 1959 vintage shows both the name of Savennières and that of the Coteaux de la Loire, which is probably due to the fact that this is recognised as an exceptional, sweet wine vintage. (The appellation for Coteaux de la Loire is solely for the production of moëlleux produced from Chenin in ten communes, including Bouchemaine, the communal name that encompasses the hamlet of Epiré, and La Possonnière, although bizarrely the décret of 1946 omits the village of Savennières). 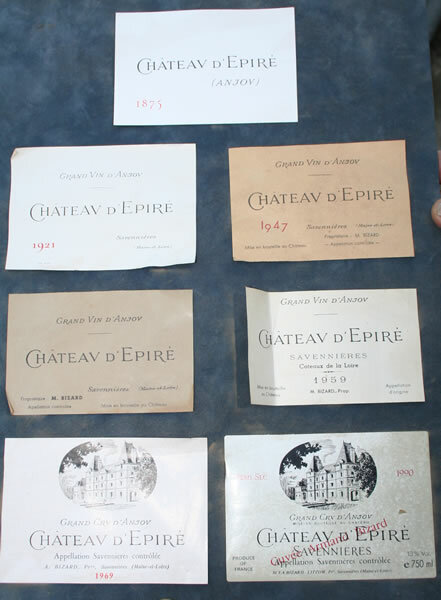 According to Luc Bizard, the owner of Château d’Epiré, his grandfather sold off practically all his wine in barrel, whilst his father, Armand, released his production both in bottle as well as selling it off in 30 litre Cubitainers. This tradition still exists at the property, where loyal private clients are invited to purchase the previous vintage en vrac before the majority is bottled. Similarly at Château des Vaults, the wines were sold in bulk to Maison Prunier in Paris prior to World War II and to private clients up until about 1980. Before this date, any wines sold in bottle from the Château were marketed as ‘Château Savennières’ until the name of Domaine du Closel was adopted. Even at the Château de la Roche aux Moines, there are no wines in the cellar that predate the arrival of the Joly family here in 1962. The delimited area for the whole appellation of Savennières stands at just over 300 ha, although less than half of the available land is currently planted. However, this is a considerable improvement over what was declared under vine by the Institut National des Appellations d’Origine (INAO) between the early 1960s and the late 1980s; at its nadir in 1977, the appellation had dwindled to just 46 hectares, or, to put this in context, about the same size as the parcel dedicated for the current production of Château Latour. A combination of poor vintages (there was no Le Clos de Coulée de Serrant produced in 1963, 1965 or 1972) compounded by frost, notably in 1975, 1977 and 1978, saw producers losing faith in the appellation. Economic pressures in the 1970s exacerbated by parsimonious yields meant that making wine in Savennières just wasn’t financially viable. Both Jean Baumard and François Roussier had lobbied the INAO to review the appellation laws, but to no effect. 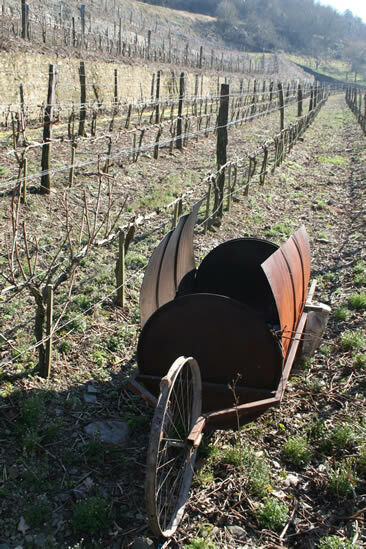 The older generation of vignerons were beginning to retire and without any succession, vineyards were being abandoned. Many of the bourgeois families had other professions or interests, maintaining their houses simply as country retreats, whilst others such as Château d’Epiré, ran a herd of dairy cattle until 1980 as an additional source of income. By the early 1980s, of the 15 or so active growers only three drew their income from winemaking alone. Savennières as an appellation appeared to be going out of business. Until the arrival of growers from outside the region, most notably of Jean Baumard in 1968, Savennières was vinified solely within the appellation, and except for a token amount of Anjou Rouge and Rosé, or the possibility of a very occasional Coteaux de la Loire, this will have been the only wine produced as no vigneron exploited vines outside the immediate region. The producers themselves fell into two distinct groups: paysan vignerons who tended their own vines, mostly as tenants, and the noble and bourgeois families that inhabited the region. All of the paysan farmers were local, being born and raised within the region. Some, in addition to tending their own vines, were also in the employ of the local aristocracy. Eustache Poilasne, for example, owned and lived within the 2 ha Clos des Perrières but also acted as a consultant to Domaine aux Moines, whilst Lucien Rousseau and Albert Gigot who were employed as mâitres de chais at Clos du Coulaine and Château de la Bizolière respectively, were both natives of Savennières. Gigot retired in about 1970 and the decision was taken by Baron Brincard, Château de la Bizolière’s owner, to start slowly withdrawing from production altogether, preferring instead to rent out the vines, with 1982 being the final vintage to be vinified at their cellar in the village. This is perhaps the most celebrated example of the decline in the appellation towards the end of the 1970s and into the early 1980s, but other casualties do exist. In the 1963 edition of Vignes et Vins de France there are twelve different growers cited under Le Clos du Papillon alone. Along with Château de la Bizolière itself, other producers listed include La Grande Roche, Château de la Comtrie, Rochepin, Bécherelle, Les Cendres, Goutte d’Or and Varennes. We know that the Pirie family of Varennes sold vines to Jean Baumard and that Nicolas Joly now rents vines from Rochepin, whilst Goutte d’Or is still within the Cointreau family, although remains unplanted, Sadly, information on the others has been lost in time. Similarly in La Possonnière, there are eleven growers named; Chateau de la Possonnière was still producing at least until 1982 and the vineyards of La Hutte can still be seen, although they have been completely abandoned. Of the vineyards cited above, only one is still in existence today, Le Clos de Fremine, although even this is under different ownership. Indeed, it may well be that some of the best sites and slopes in Savennières are not currently planted at all. Above and behind Le Clos de Coulée de Serrant on the plateau of Epiré lies the clos of Vir-Boyau. This steep south facing parcel sits right on the very edge of the premièrs coteaux on prime schistous soils. 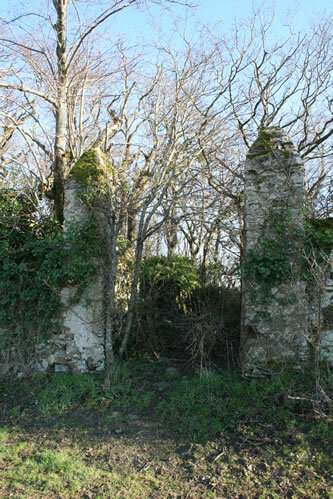 Currently, this high-walled clos is completely overgrown with vegetation, having been abandoned in the early 1960s. It is under the ownership of the Soulez family of Château Chamboureau, although this is about to change (see the Château Chamboureau producer profile entry). Equally in La Roche aux Moines there are significant terraces above the road on the western edge opposite Rochepin that remain abandoned. 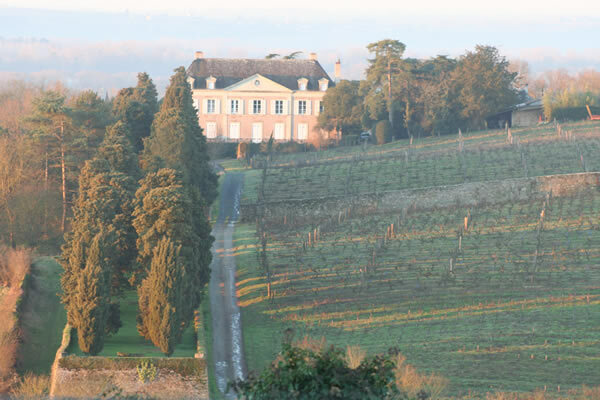 And what is known as ‘Les Coteaux’, the south-west facing slope in front of Le Clos du Papillon and adjacent to the vineyards of Varennes is a complete slope owned by Château des Vaults. These terraces, last planted to vines at the end of the 1960s, used to be ploughed by horse. Today, they form part of a commercial poplar plantation, although Evelyne de Pontbriand would love to see them bought back into full production in the near future. It was not until the mid 1980s that the fortunes of Savennières began to improve. In 1983 Henri Rochais and his son, Guy, owners of Chateau de Plaisance in Chaume, bought a 2 hectare parcel from the Soulez family in Le Clos de Maurières, which was subsequently grubbed up and replanted. Rochais was followed by Pascal Laffourcade who rents the 3.2 ha Clos de la Royauté from Baron Brincard. Both released their inaugural vintages in 1988 to become the first vignerons since Jean Baumard twenty years earlier to enter the appellation. From here the trend continued and today of the 34 producers who are active in the appellation, all but ten have their origins in the Layon. The reason why so many Layon producers have shown interest in Savennières in the past decade is pretty simple to comprehend. For the most part, these growers’ prime objective is to produce sweeter expressions of Chenin, and although dry wines are produced along the length of the Layon, they carry the generic appellation of Anjou Blanc. In addition to Chenin, most growers will also have Cabernet Franc and Cabernet Sauvignon planted, often augmented with some Gamay and Grolleau. However, after the extraordinary vintages of 1989 and 1990, the market for sweet wines began to diminish, whilst the demand for red Anjou wines from anywhere beyond the region has always been nominal. Growers from the Layon needed to look at possible alternatives, and Savennières offered a practical solution. The situation that existed during the early 1990s was that whilst the appellation remained exceptionally small, it maintained a high quality image, commanding premium prices for wines that were perceived to be rare; Savennières was primarily made by the bourgeois classes for the drinking pleasure of the bourgeois classes. The Layon growers recognised that there was potential to make money producing Savennières; land was available for sale or rent and was easily accessible from the Layon both to work the vines and to harvest and transport the crop back to their cellars. Today, there are a total of 26 growers who vinify their Savennières outside of the appellation. Whilst this injection of interest and investment was broadly welcomed by the existing producers, it is also fair to say that the Layon growers were viewed with some suspicion. Even Florent Baumard, whose family have been producing Savennières for the past 40 years, still considers himself as an outsider. Within France, the Loire has always been seen as a frontier (illustrated daily on national weather reports where they speak of being ‘above or below the Loire ’) and this perception dates back to the middle ages. Downstream from Angers there were no bridges to cross the river, leading to a natural division in cultures. Those on the north bank with their ready access to Angers developed more republican tendancies whilst those on the south bank and extending as far as the Vendée, retained their royalist views. Unlike the bourgeois domaines of late 20th century Savennières which tended to be made up of absentee landowners, relying on their chef de cave to manage their estates, the great viticultural families of the Layon have a proud tradition of working their vines themselves. The appellation laws finally received a complete overhaul in the mid 1990s to encompass the changes in attitude within the region. It formally recognised the existence of the different wine styles, allowing vignerons to make the decision of whether to produce dry, off-dry or sweeter expressions of Savennières, with Michèle Bazin de Jessy, owner of Château des Vaults - and the first ever lady president of a growers’ syndicate in France - signing off the décret on the 5th December 1996. The new laws allowed for higher yields; 50hl/ha for dry wines - classified as under 8g/l residual sugar (the highest permitted level in France for sec – when 2g/l would be considered the norm), and 40hl/ha for demi-sec (for wines with between 8 and 18g/l) moëlleux (18 and 45g/l) and doux (in excess of 45g/l residual sugar). Today, dry wines account for around 90% of the appellation’s production, although average yields (at 34hl/ha) are considerably less that the maximum allowed; indeed the lowest of any French dry white wine. In addition to the increase in yields, the minimum permitted alcohol level was reduced from 12% to 10%, the changes here possibly driven by a legacy of poor vintages for the first part of the decade, although in this period of global warming, keeping alcohols below 15% alcohol has become more of a challenge than attaining minimum levels. Finally the changes in the law allowed for the introduction of mechanical harvesting, but only after the first picking had been harvested by hand. Although some experiments were conducted by Château Chamboureau, no grower has embraced harvesting by machine, and this aspect of the decree is likely to be written out of the proposed 2008 update. Other likely changes this year will be the increase in minimum alcohol to 11% and the banning of any chaptalization. The minimum residual sugar level for dry wines is also likely to drop to 6g/l. With regards to yields, no changes are predicted, although given that the averages are well below the permitted 50hl/ha for sec, this seems academic. 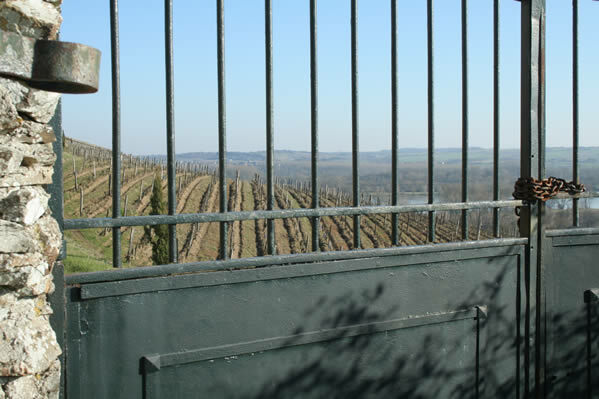 Although not on the agenda, the ending of en vrac sales (in the same way that no Alsatian wine is allowed to be sold in any medium other than glass) would surely help to protect the reputation and status and image of the appellation, as would the outlawing of the unauthorised use of the term ‘Grand Cru’ on certain producers labels.